We would ask all those who use the canal towpath to please Share the Space. Information on towpath development and maintenance work can be found at Royal Canal Way and Waterways Ireland Royal Canal Marine Notices. The canal and its towpath is 145 km long, and runs from the River Liffey in Dublin to Cloondara on the Shannon, with an 8 km branch line into the town of Longford. Along the length of the canal there are 46 sets of locks (including the sea lock in Dublin). The first 26 raises the waterway to a height of 94m at its summit near Mullingar. The main feeder for the canal, Lough Owel is also just west of Mullingar. There are a number of aqueducts spanning the canal, the most spectacular of which is over the M50 at Blanchardstown with others over the River Blackwater, the Boyne and River Inny. All 145 km of towpath is ideal for walking. Indeed, individuals and groups regularly walk the full length of the canal over a number of days. For example, thirteen people from the Strokestown House Famine Museum walked the full length of the canal, from Clondra on the Shannon to the Liffey in Dublin over five days in May 2017 (see Irish Times National Famine Walk May 2017). To calculate the distance between various points along the canal, click Distance Table . Along its length, the canal can be accessed from public transport, so for the less energetic, rail or bus transport can be used as a means to extend and explore various sections of the ‘Royal Canal Way’. For those who wish to walk the full length of the canal over consecutive days, there are options for overnight accommodation in the towns and villages adjacent to the canal. There are also some unique establishments along the waterway where refreshments can be taken in idyllic surroundings. 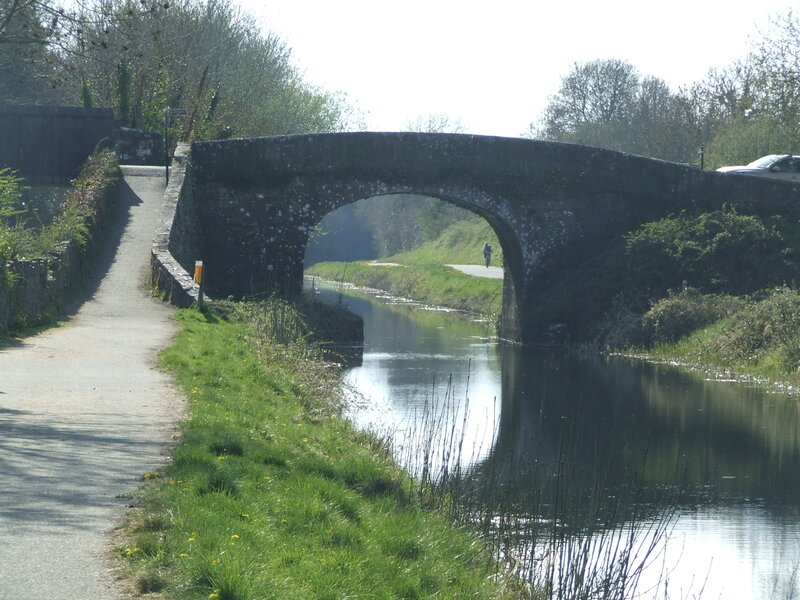 Enhance your experience of walking the canal, with a Guide to the Royal Canal. It contains maps and a wealth of local information and is available to buy on-line at our RCAG Shop). Maps of the ‘Royal Canal Way’ are also available for Download on the National Trails Office website, however they are not as detailed as those in the Guide to the Royal Canal. For details of five short walks between Dublin and Maynooth, Peter Clarke’s book Walking the Royal Canal is highly recommended. In addition to maps of the walks, it contains local information with historical overviews of both the canal and its environs. The book is available in selected book shops in Dublin and Kildare or at RCAG Shop. Although sections of the towpath in Dublin city centre are inaccessible, routes along the canal in the Dublin area are generally well surfaced and suitable for cycling. They provide an off-road link between the city centre and the suburbs. They also have the advantage of having bus and rail services within easy reach. Heading westward the rural nature of the canal becomes more apparent with a mixture of well surfaced towpaths and completed greenways suitable for cycling, to sections where it is only possible to walk.